I have been having an interesting discussion about Richard Dawkins with the cartoonist Jerm Nell. 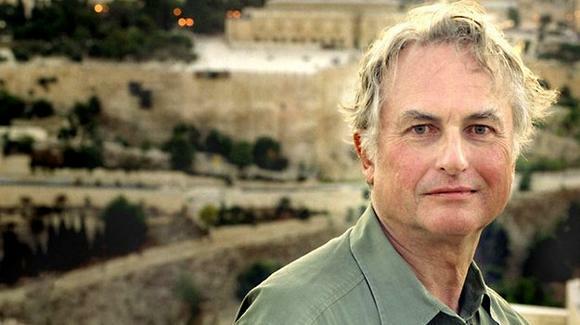 Personally I find Dawkins a little too simplistic and insulting to be taken seriously. But then it occurred to me that perhaps he is actually a prophet, sent by God to wake up His church to the fact that it is intellectually fast asleep. How's that for irony? He seems to enjoy the limelight and controversy he creates through the media. In The God Delusion, Dawkins contends that a supernatural creator almost certainly does not exist and that belief in a personal god qualifies as a delusion, which he defines as a persistent false belief held in the face of strong contradictory evidence. He is sympathetic to Robert Pirsig's statement in "Lila" that "when one person suffers from a delusion it is called insanity. When many people suffer from a delusion it is called religion." If this is true, then I suffer from a massive delusion. So does Desmond Tutu, the man who stood up to PW Botha in the dark days of Apartheid. He was also the man who led me to become a Christian. This would mean that my refusal to serve in the SADF was delusional, and therefore I must have been acting purely out of self-interest and cowardice. More irony: Desmond and I were wrong, and PW and Magnus Malan were right. Or deluded as well. Or something. But I digress. .. is it possible to know the things you believe as a Chritian? To what extent? And does it really matter whether you do or not? Doesn't Christian faith automatically relegate you to an intellectual slum? Many - religious or not - deeply feel that it does. Some even think you should be proud if the slum. That is the status history has managed to hang upon faith. I think that Dawkins has become the public face of that attitude, and that challenge. Hence, he is a prophet of God, sent to challenge the church to wake up from its complacency and compromise, and speak of its knowledge of the truth. Update: I think that bus slogan should be changed to read "Now stop worrying and enjoy your miserable existence on social welfare"
"Then there are the fanatical atheists whose intolerance is of the same kind as the intolerance of the religious fanatics and comes from the same source. They are like slaves who are still feeling the weight of their chains which they have thrown off after hard struggle. They are creatures who -- in their grudge against the traditional "opium of the people" -- cannot bear the music of the spheres. The Wonder of nature does not become smaller because one cannot measure it by the standards of human moral and human aims." Update 14 May 2012: I have learnt that Dallas Willard has weighed in on the subject with a review of "The Blind Watchmaker". His comments are very interesting. "This would mean that my refusal to serve in the SADF was delusional, and therefore I must have been acting purely out of self-interest and cowardice. More irony: Desmond and I were wrong, and PW and Magnus Malan were right." Do you honestly think this is anything but a preposterously obvious non sequitur? The above is to logic as Capton is to the rings of Saturn. For the sake of clarity, where did my argument go off the rails? Is my assumption that Dawkins believes I am delusional a non sequitur? Or something further down the line? you would only not be delusional if Richard is wrong about religion and the existence or non existence of a deity. Can you please explain how the evils of apartheid and your resistance against it proves the existence of a deity???? IMHO Richard is wrong, since he has no knowledge of the God I believe in. If he had knowledge, then he wouldn't equate belief in Jesus Christ with belief in fairies. From what I have heard him say, I can deduce that he is very selective in his reading of biblical texts, which would indicate to me that he has little knowledge of this subject. > existence of a deity? It doesn't. It isn't supposed to prove anything. My opposition to the SADF was borne out of my relationship with Christ and my deep conviction that it would be wrong to serve in the SADF. Richard claims that since no god of any type exists, therefore I must have been deluded. I say that he has no idea about God, and therefore it is nonsense for him to say I am deluded. In fact it is quite arrogant of him to claim that every Christian on the planet is deluded. Remember his definition of delusion (as summarised in http://en.wikipedia.org/wiki/The_God_Delusion ) is "as a persistent false belief held in the face of strong contradictory evidence." I fail to see what "strong contradictory evidence" exists to disprove the existence of God. That is not the same as "no evidence to prove that God exists". Dawkins can't have it both ways. Try reading "Knowing Christ Today" by Dallas Willard to understand just how way-out on the credibility scale Dawkins' book actually is. As i understand it, the Christian believe is based on the bible, which states that human beings were created fully formed by God.The contradictory evidence that Richard Dawkins is talking about,among much else,is the incontrovertible evidence (fossil and DNA, among much else)that this is simply not true, and that humans, like all other living creatures on earth, have evolved from simpler organisms and that all living creatures are ultimately related at the cellular level . If this fundamental premise of the Christian doctrine is false, what would be the rational basis for believing any of it? Then there is Genesis 5, which is essentially a genealogy of Adam. If you insist on interpreting all verses in the Bible in literal terms, then you are going to have serious problems. Christians don't do that, and neither should Dawkins, if he wants any credibility at all. Most Jews and Christians do not believe that the world was created in 1008 hours, because the book of Genesis is not a literal book in the same way that the book of Matthew is. > for believing any of it? It is not a fundamental premise of Christianity. You won't find it in the Apostle's Creed, or any of the statements of faith of the mainline Christian churches. The bible says that man was created in God's image. That is a fundamental statement of the Christian faith, and is the basis of the concept that "all men are equal" enshrined in many laws in many countries. FWIW, there is a lot in the theory of evolution that cannot be "proved" because of the time span involved. Also, science has not fully explained the process by which our DNA has become more complex while other life forms have not. I'm not a creationist, but there is a lot about life, the universe, and everything that has not been explained. Evolution is a plausible, rational theory, but it is hardly "strong contradictory evidence" to disprove the existence of God. Many Christians believe that at some point in history God intervened in creation/evolution and gave man a spirit/soul, and the first man to have this is called Adam. If Darwin was a programmer he might have called him Homo Sapiens++ to indicate a qualitative difference between him and his genetic ancestors. Since Dawkins denies the existence of God, as well as the soul and spirit aspects of human existence, I guess all this is just irrelevant detail that can be ignored. In this he is morally wrong. Don, I know the argument that the creation story of Genesis should be taken as allegory, but the point is that it was taken as the literal truth for nearly two thousand years until science (Darwin's theory amongst others)have shown that it simply could not be the literal truth. It was only then that it became "symbolic". If it is now contended that not all of the Bible should be taken as the literal truth, on what basis should it then be decided which parts should be interpreted and which taken at face value? I will also happily debate the theory of absolute moral values (as found in the scriptures)versus moral values as expounded by secular humanism. I, for one, cannot accept that I can only be a moral person if I am also a religious person. Do you think God didn't think of that when the Bible was written? In those days there was no maths, the earth was flat, and the sun revolved around the earth. Yet still the Bible is true, and *can* be examined in the light of other knowledge that we have. Dawkins is using the "straw man" argument: set up "religion" as a set of myths that can be "disproved" and then voila you don't have to believe them. This is a fraud, and is completely unscientific and dishonest. If you want to study the bible and know how to interpret what it says, there are plenty of good references and study notes, and 2000 years of writing on the topic. It's not that difficult, especially if you ask God to be your guide. Be sure to ask plenty of intelligent questions along the way. God is not afraid of honest questions; he loves them as much as the questioner. please explain how you record history accurately and scientifically before the invention of writing, let alone science? > could not be the literal truth. Nonsense. It was taken to be the literal truth because there was no other information. But the *text itself* never claimed it was the literal truth. And if you read the *text itself* you'll see that it is the way you interpret it that can change, depending on your world view. Scientists have believed a whole load of rubbish (from the modern standpoint) for thousands of years too. Take the idea of turning lead into gold. Or the flatness of the earth. Science is no more infallible than the humans who practice it. Galileo's theories about the earth revolving around the sun were just as controversial among other scientists as they were with the church. And speaking of the church, it was the church who put Jesus to death. If God wanted science to put Jesus to death He could have waited a few centuries more, but He didn't. Why? Dawkins has no answer. Anyone read "The Dawkins Delusion"? Dawkins does not have to prove anything, he is not the one claiming divine revelation and expecting everybody else to believe it on the strength of their say so, or on the strength of a book with extremely dubious provenance. @anonymous He never said the invention of writing came 2000 years after...Moses recorded the books he wrote long before Jesus walked the earth.If by 2000 years ago we are referencing from the time of Jesus....Consider that the beginning did not start when the bible was written,Moses inspired by the Holy Spirit (in the same manner as some people are inspired by the Holy Spirit to utter what God wants the church or others to know what He is saying does),He recorded history as God desired for us to know what happened.Notice it is not that very detailed,you need revelation to understand the bible as the Holy Spirit teaches you all things.Its like if you were to read the book of one of the prophets whom God had called to prophecy without understanding what prophecy is or having to experience how God can talk through a person through prophecy.You would not quite grasp who is talking at a respective time,is it God talking to the prophet or the God talking through the prophet in prophecy or the prophet talking to God or the prophet giving their own interpretation of what was said.It is also important to look at who is the writer of the whole book,whether it is the prophet himself or another person.Now generally it is the Holy Spirit,as it is said that all scripture is inspired by the Spirit of God(paraphrased).